Health professionals are lining up to put their name down to work at the Macarthur Cancer Therapy Centre. 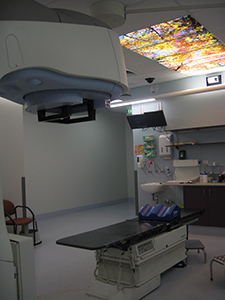 Campbelltown Hospital’s outpatient cancer clinic has been striving towards sustained excellence for a decade and, for the third year in a row, has been rated the best public cancer centre in NSW. Macarthur Cancer Therapy Centre director associate professor Stephen Della-Fiorentina (pictured above) said the clinic was a desired workplace for those in the health industry. “Nurse unit manager Denise Burns has a waiting list of people wanting to work here and, from a medical perspective, we always have lots of applicants when we have a vacancy,” Prof Della-Fiorentina said. The Bureau of Health Information’s 2017 Outpatient Cancer Clinics Patient Survey released in December 2018 found the Macarthur Centre performed significantly better than the NSW average on 13 questions. Prof Della-Fiorentina said the results were recognition of the dedication of staff to their patients. “It’s the people, it’s the culture; they care about their patients,” he said. “That continuance of care before, during and after chemotherapy or radiation is a model we have been fine-tuning over the last decade. The clinic sees up to 220 patients a day and manages 1,600 newly-diagnosed adolescent and adult patients every year for appointments after a cancer diagnosis or for treatment of existing cancers. “I talk about this to everyone when I can; to be the best in the state the first time was an achievement but to sustain it three surveys in a row is worth talking about,” Prof Della-Fiorentina said. 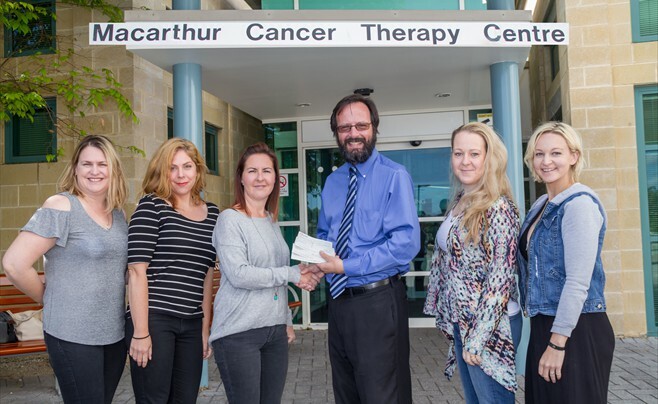 The cancer therapy centre topped the state in five areas of the BHI survey including having the side effects of their treatment explained thoroughly, managing side effects and patients feeling they’d had valuable time with their health professional.